Home›Reviews›Guitar and Equipment Reviews›TC Electronic G-Force vs. G-Major - Powerhouse multi-fx processors... but which one is right for you? TC Electronic G-Force vs. G-Major - Powerhouse multi-fx processors... but which one is right for you? Denmark’s TC Electronic make numerous products that are found in practically every professional recording studio, and when it comes to guitar players’ effects, their products can be found in the racks and pedal boards of more pros than we could possibly begin to name. The TC Electronic G-Force is commonly regarded as one of the best high-end rack effects processors for guitar, while the G-Major is regarded as one of the most popular mid-priced processors. In this review, we set out to discover just how good (or bad) these products really are, and also to help you figure out which product is right for your guitar system. When it comes to sound quality, the G-Force is a processor to be reckoned with. Featuring the classic TC Electronic golden-ratio chorus, intelligent pitch shifting, and dynamic digital delays, if your tone isn’t gorgeous sounding through this unit, you just don’t have it dialed into your rig properly. 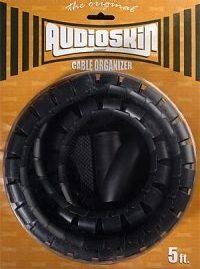 Extremely flexible signal routing and advanced programmability make this a great unit for the sound programmer. However, by today’s standards, the G-Force certainly isn’t the easiest processor to program (though basic effects editing is straightforward), and some of its capabilities (like distortion) have been surpassed in quality by newer products. What does the G-Major give you for less than half the price of its big brother? A mixed bag, comparably. 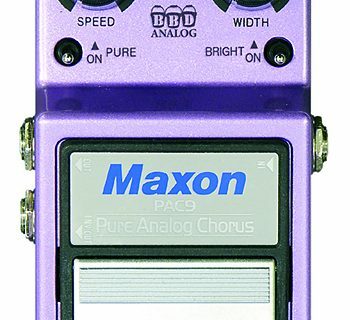 The studio staples – reverb, chorus, and delay, are of similar sonic excellence, and this low-cost sibling also features the golden-ratio chorus and dynamic delay, but some of its filter/modulation and pitch-based effects really don’t compare sonically to the G-Force (and are sometimes downright weak sounding). Signal routing in the G-Major is less flexible than in the G-Force, but you do get the simplest programming interface of any advanced rack processor, extremely flexible and easy-to-implement MIDI control, and analog amplifier channel switching, a feature lacking in the more costly G-Force. 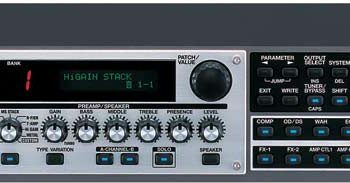 If you love the TC Electronic sound but aren’t fully committed to the idea of a rack-mounted processor, the G-System is another product worth considering – it’s a floor-based pedal solution that falls somewhere in between these two rack units, plus it adds some great new features of its own (and you can even pull the brain out of the floor unit and rack-mount it). You can read our in-depth review of the TC Electronic G-System here. Which one of these processors is right for your rack? If tonal superiority is your requirement, the G-Force is as good as any effects processor you’ll find, but if you want the easiest implementation of a good sounding processor in your rig for bread-and-butter effects, the G-Major gives you many of the same great sounds with much less effort. 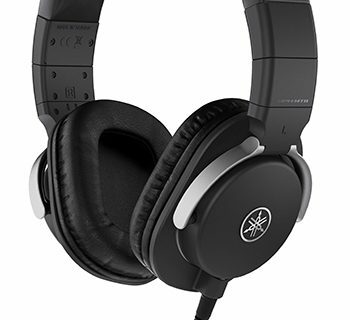 At its low price, you can ignore the weaker sounds and just use it for the good ones. We wouldn’t hesitate to use either of these products in the effects loop of the finest tube amps, but with either of them, you’ll probably want to use dedicated wah pedals, filters, and other specialized effects that sound best placed in front of your amp. One of the things we love about TC Electronic is that they don’t try to be your guitar amplifier. There are no amp models to be found in their products – only effects. Both processors feature digital I/O for studio connections. The G-Force is limited to 441kHz I/O; the G-Major offers up to 48 kHz, but since most players will be using these processors in their guitar amp effects loops, we don’t consider the feature essential. A careful inspection of the technical specifications for both products reveals that they are virtually the same from a sonic perspective, with the newer G-Major barely having a few expanded specs. Bottom line: both units have a 20 Hz to 20 kHz frequency response and 24-bit A/D converters. The inclusion of a Drive effect in the G-Force enables you to supply overdrive in the middle of your signal chain. This effect can be placed creatively to apply overdrive after individual effects or to add some gain during soloing, etc. The G-Force ships with 225 Factory presets and internal memory for storing up to 100 User presets. If this isn’t enough, it can store additional presets on PCMCIA Type 1 memory cards. The G-Major contains 100 Factory presets and memory for 100 User presets, but no expandable card storage. Of course with either product, you could do a MIDI dump to a storage device, but that’s beyond the scope of what a typical guitar player would do. Both units’ Delay modules feature a capability borrowed from the famous TC Electronic 2290 delay unit – Dynamic Delay. With this feature, the delay’s output level can vary based on your playing. For example, play a rhythm passage and your delay level is quiet, but start playing slower parts with long, sustained notes and the delay level increases. Once you learn how to take advantage of this feature, it can be put to creative use. Both processors feature various effect spillover capabilities so that your sound doesn’t get cut off abruptly during a patch change. The G-Force has both delay spillover and reverb spillover whereas the G-Major only has delay spillover. Still, the G-Major gets the nod for better overall capabilities in this regard. Because the G-Major’s signal path has a more-fixed routing (details later), it’s easier to maintain seamless transitions from one patch to another. But with the G-Force, in order to maintain seamless program changes, you need to have similar effect block routing in both patches. G-Force Tip: If you want delay or reverb to spill over into a new patch that doesn’t have delay or reverb in the G-Force, copy those effect blocks into your new patch, but set those effects to Bypass. The G-Force has slightly more advanced digital delay capabilities. While the G-Force offers up to four taps in its multi-tap delay settings, the G-major is limited to only two. Unfortunately, neither unit provides a modulation delay effect, useful for creating classic analog and tape-based delay sounds, but you can use the high and low-cut filters to create analog-sounding delays (albeit without chorus or flanging applied to the repeats). While both processors offer pitch shifting, this is one area where the G-Force really shines. The G-Force features intelligent two-voice pitch shifting. You can select from numerous scales and pitch intervals to create studio-quality shifting effects. Want to sound like Steve Vai or Trevor Rabin? The G-Force won’t help with your playing skills, but it will definitely help you to create those otherworldly classic sounds. The G-Major offers only simple, one-octave fixed pitch shifting. With the G-Force, effects can be chained together in any sequence, either serially or in parallel. Run your delay into a flanger while sending a clean tone in parallel straight to the Reverb, for example. The G-Force enables you to create up to four parallel effect chains per preset. Of course you only get to use one instance of each effect block, so you can’t have both a phaser and a flanger concurrently, but because delay is integral to numerous types of effects, there are multiple effect blocks (besides the Delay block) from which you can add additional repeats if needed. While this renders some effects impossible to create, the effects are sequenced in a traditional order. For players only in need of standard chorus, delay, and reverb sounds, with some compression, this may not be a limiting factor. The choice of effect routing can be saved on a per-preset basis, or as a global option for all presets. Both the G-Force and G-Major offer numerous control options. Program Changes (PC) and Continuous Controller (CC) messages can be sent to these units to not only select patches, but also to turn effect blocks On/Off, provide a boost for soloing, bypass all effects, mute the processor when tuning, and external continuous controllers can be used to adjust numerous effect parameters ranging from volume to wah (in the G-Force) to delay level and more. You can connect a continuous controller pedal directly to either processor without the need for any MIDI gear, or you can use the continuous controllers built into many MIDI foot controllers. Up to eight external controllers can be used with the G-Force; up to four with the G-Major. Both processors offer outstanding MIDI control. Program Change (PC) enable the selection of presets, while Continuous Controller (CC) messages offer a wealth of control: turning effects blocks On/Off, muting the output while activating the Tuner mode, sending Tap Tempo data, providing a level boost for soloing, bypassing the effects processors entirely, and modifying a range of values in real-time from continuous controllers (volume, delay level, flanger rate, etc.). Unfortunately, neither device provides phantom power to MIDI foot controllers. They each use a standard DIN-5 MIDI cable. The G-Major takes control one step further by providing channel switching of amps via a single ¼” TRS relay switch jack. Wired appropriately, you can program patches to switch between two channels on your guitar amplifier. We tested both units with a Mesa/Boogie Road King II and a Fender Super-Sonic amp, in series effects loops, each controlled by a Roland FC-200 MIDI foot controller. Connections to the G-Force and G-Major were straightforward. Both units have balanced outputs, the G-Major has balanced inputs, and the G-Force has unbalanced inputs. This detail won’t be of specific concern to a guitar player – standard instrument cables work fine for connecting either of these processors, and if you were going to use one in your recording studio today, you’d opt to use the digital S/PDIF I/O anyway. Signal levels are set on the front panel of the units via Input and Output knobs. A meter on each display shows signal levels, and TC Electronic provide tips for optimizing the levels in their documentation so that your signal is hot without clipping. One important control you’ll want to care about varies based on the effects loop you are using in your amplifier: series or parallel. Both the G-Force and G-Major have a Kill Dry feature that globally defines the output as being 100% wet. Tip: If you’re using a parallel effects loop, because your amplifier passes a direct sound along side the signal routed to your effects, you’ll want a 100% wet signal coming out of your effects processor, so you should enable the Kill Dry setting. For a series effects loop, don’t activate this feature. The G-Major takes the prize for ease-of-use: it has one of the best interfaces we’ve ever worked with in a guitar-optimized effects processor. Because it was introduced years after the G-Force, while many operations are similar between the units, TC Electronic learned a few things along the way and implemented usability improvements in the G-Major. In general daily use, the buttons felt a lot more solid to us on the G-Force than on the G-Major, whose plastic buttons and dials have a cheap, plastic-y feeling to them rather than the firm response of the G-Force’s solid buttons and dials. Once our sounds were created, though, all of our interaction with either device was through a MIDI foot controller. Both units have very easy-to-read displays, and we enjoyed the scrolling marquee feature of the G-Force. It enabled us to scroll messages of our choice across the numeric portion of the display. Useful? Not really. But it was very cool to see our band name scrolling by. In the G-Major, editing effects was a simple double-click affair – we just double-clicked on the effects block of our choice to begin editing its parameters and to activate it in the signal path of our effects chain. Once edited, a single-click on the effect would disable it, but leave it in the signal chain, useful for setting up presets that (for example) have digital delay, but the default state of the delay is Off when you first select the preset. In the G-Force, we had to press the Effects button and then double-click an existing effect block to make changes. But if the effect we wanted to edit wasn’t already present within the preset we were editing, it had to first be added into the signal chain before we could make changes. With the flexible effect routing in the G-Force, this is a necessary step because it doesn’t know where you want to place an effect – in series behind one effect, or parallel to another, etc. The G-Major has only a few preset arrangements for effect routing, so selection of routing options was a simple menu choice either within a preset or as a global setting (we prefer standardizing the signal path globally). In the G-Force, however, routing is assigned by arranging effects within a grid layout using a combination of arrow keys and knobs for selecting parameters and values. Overall, we found the interface for adding effects to a preset and rearranging them within the G-Force to be a non-intuitive and cumbersome process. Building effect chains, editing the effects, and changing the routing options, required continually having to move back and forth between the Edit and Routing windows, an awkward method of working. The G-Force provides various methods of copying effect blocks from one preset to another, but we found it simplest to start with one of the numerous factory presets and then customize the sounds to taste. One important issue for players is the effect spillover capability of a signal processor – namely the assurance that changing presets in mid-song will not result in an audible pop or silence. The G-Major provides delay spillover, while the G-Force provides both delay and reverb spillover. Because of the simplified effects routing options in the G-Major, it does a more consistent job of providing seamless preset changes. In the case of the G-Force, it’s not possible to provide for seamless preset changes when the effects blocks are routed too differently from one another. G-Force Tip: In order to ensure consistent and smooth spillover abilities, try to maintain consistency in your signal routing, typically leaving delay and reverb as the last two effects in a signal chain. For preset changes between very dissimilar presets, the G-Force provides multiple options for muting effect blocks within a preset ranging from hard bypassing of an effect block to keeping the effect block active, but dropping its level to zero. Each option can result in different results, and in some cases, we ended up with a silent gap between two dissimilar presets (using Output muting), whereas other settings could result in a change of volume during the transition (FX Out muting). It’s a trade-off you have to decide for yourself, but there are many workable solutions such as bypassing individual effect blocks within a preset in mid-song rather than changing to new presets entirely. Both the G-Force and G-Major are models of excellence when it comes to MIDI control. Although the G-Force has some built-in featuring-mapping templates to auto-configure it for use with select foot controllers, manually configuring either unit for use with a MIDI foot controller is a demonstration in simplicity. From a Modifiers list, each effects unit provided a list of all of the external functions that may be controlled, along with corresponding default CC values. Rather than reconfigure our Roland foot controller, which had predefined CC values for each of its continuous controller pedals, we were able to simply change the numeric values within the G-Force or G-Major to match. For example, if our FC-200’s button #4 was defaulted to sending a CC value 71 and we wanted it to be used for turning the Chorus effect block On/Off, we just set that function’s value (in the processor) to match. With both the foot controller and effects processor set to the same MIDI channel, control worked perfectly, and we had ten buttons on our FC-200 controlling numerous functions within each effects processor. The only limitation? There were more controllable parameters than we had foot switches to activate! If that’s not easy enough for you, though, TC Electronic has a Learn function built into both the G-Force and G-Major. Don’t want to look up the CC values for matching functions with the pedals? No problem. Find the function you want to control in the effects processor, scroll the CC value down below zero so that the display reads “Learn.” Next, hit the Enter key, and while the word Learn flashes, step on the CC pedal of your choice on your foot controller – voilà! The CC value is learned and replaces the word “Learn” on the display with its new setting value. We have used the G-Major with numerous other MIDI foot controllers – this processor is one of the standard MIDI devices we use in the testing of MIDI foot controllers. Its elegant interface for assigning CC values, robust feature set, and ease of use, make it one of our regular go-to devices. One of the big questions on peoples minds is whether or not the G-Force sounds four times as good as the G-Major. We have to answer that with a definitive No. Both products are extremely comparable in their sound quality. To start, both the G-Force and the G-Major are clean and quiet devices. We did not find either of them detracted from the quality of our guitar tone. If you find that your tone is degraded by either of these units, or there is a lot of noise in your setup once connected, you probably haven’t optimized the I/O levels on your effects processor or on your amplifier’s effects loop. Time and technological advances enable the G-Major to rival its big brother in the sound department quality-wise but to deliver the results at a lower price point (of course the cheaper plastic buttons help, too, but that doesn’t compromise the sound). In particular, if you’re a bread-and-butter player who chiefly requires basic chorus, delay, reverb, and compression, there is no need to spend for the more costly G-Force. Both products deliver gorgeous, lush chorus that TC Electronic is famous for. The golden ratio that you hear referenced by tone connoisseurs refers to a setting in the chorus algorithms that provides TC Electronic’s idea of the “perfect” ratio between rate and depth. If you don’t want the classic TC Electronic chorus sound, you can turn Off the golden ratio setting, but if you do that, we’re not going to be your friend anymore. The digital delays are extremely clean as well, but because the G-Force offers twice as many taps (four vs. two), extreme delay lovers will appreciate the different types of sound you can create with the G-Force. The reverbs were of typical TC Electronic studio quality, and they sounded great in both units. Our only complaint is that by default, the reverbs are too loud in most of the presets, particularly within the G-Force. The G-Force was developed at a time when players used to drench their tone in reverb, but in the ‘00s, most players we know use very little or no reverb. (It’s interesting that what was once a critical feature for guitar effects is so much less important to many players today.) Of course, you can bypass the Reverb effects block or lower the effect level and dial it in to taste. If you crave the sound of beautiful harmony, opt for the G-Force. Its intelligent pitch shifter (harmonizer) sounded fantastic, and if you’ve only used simple pitch-shifting pedals, the difference between fixed-interval harmony products and intelligent harmonizers like this is significant. Everything from the sound of Steve Vai’s little green men to Trevor Rabin’s “Owner of a Lonely Heart” solo can be delivered by the G-Force, provided (of course) that your fingers can supply the performance talent. We did find that the Flanger sounded better in the G-Force than in the G-Major, and we loved its shimmering Tremolo effects, too, but in general, phasing and flanging effects didn’t thrill us, primarily because we prefer to generate those sounds in front of our amps rather than in the effects loop. The G-Force provides a decent wah, but again, it would sound better if only we could place it before our amp. Although the G-Major doesn’t have a wah effect, you can program similar sounds using filter effects, but the results came out sounding like a rather weak wah. Both effects processors also include noise gates and compressors in their effect blocks, and those worked quite well, too. Despite not placing the compressor in front of our amp, we found that the compressors worked quite well for smoothing out our clean playing without adding dirt, and they worked well for adding sustain to our lead playing. The noise gates worked very well, too, and kept instrument and effect noise to a minimum. So although the G-Force is capable of creating some more interesting and unique effects due to the creative effects routing options, harmonizer, and other advanced programming options, the quality of the other sounds overall are quite comparable. If you’re just after basic effects in a rack unit that won’t mess negatively with your tone, you’ll get extremely high-quality sounds from either effects processor. If you really want to have your cake and eat it too, consider that for the price of the G-Force plus a good MIDI foot controller, you could have the newer G-System that enables you to place some effects pre-amplifier and others in the effects loops, plus it has a wide variety of additional capabilities beyond both of these units. You can read our in-depth review of the G-System here. Usually, we’re impressed with TC Electronic documentation, but the manuals included with each of these products left us wanting more. The manuals attempt to provide education through examples of operation, but unfortunately, most functions in the processors just aren’t explained well from an operational perspective, and there aren’t enough examples to cover every situation. The documentation does a good job of explaining the effects blocks, but when it comes to advanced topics like modifiers, external controllers, and MIDI, both manuals fall short. Neither manual even lists the specific settings controllable via MIDI CC messages, so for the rack system newbie, it takes reading and re-reading the manuals a few times in order for things to start making sense. Fortunately, TC Electronic has an excellent knowledge base on their web site with tips for using these products with various MIDI foot controllers and some of their operational procedures, and technical support is usually pretty responsive. The G-Force ($1,795 MSRP) sells for approximately $1,499. The G-Major ($695 MSRP) sells for approximately $399. The G-Major provides an outstanding value. You get studio-quality sounds with ease of use at a low price. The G-Force, at one time a powerhouse in the effects world, is priced such that it only makes sense for people obsessed with sound effect design or those who would specifically benefit from a world-class harmonizer in their effects rig. Of course, a large part of the reason for the cost difference between these two products has to do with manufacturing costs – not audio quality. The pricier G-Force is manufactured in TC Electronic’s homeland of Denmark, whereas the much less costly G-Major is manufactured in Thailand. For the truly sound-obsessed, TC Electronic also sells the G-Force Artist Card ($159), an expansion card that contains an additional 245 presets created by artists including Steve Vai, Eric Johnson, and Bob Bradshaw (among others). The one area where both the G-Force and G-Major could use an overhaul is in the programming department. If TC Electronic were to release computer-based editors for these products, especially the G-Force, they would add incredible value to these products. 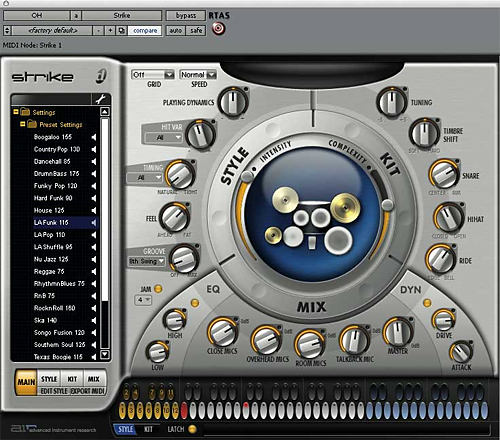 Other companies have created outstanding visual editors for their rack-mounted effects, providing drag-and-drop arranging of effect signal paths, adjusting curves and parameters, setting up MIDI mapping, etc. The introduction of an application like this for a product as feature-rich as the G-Force would help justify its high price. We’ve seen a few freely-available editors for the G-Major, but none of them provide the kind of rich user interface experience that the big manufacturers are delivering. Fortunately, there are plenty of free resources on the web for users of both of these products – a simple Google search should help you find plenty of additional information.